The Best CBD Oil on the market is now in a transdermal lotion for pets. 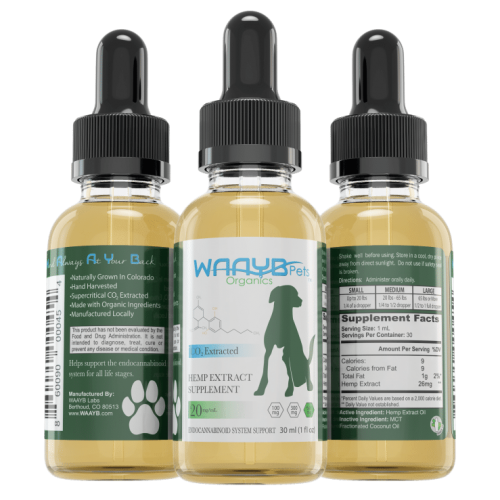 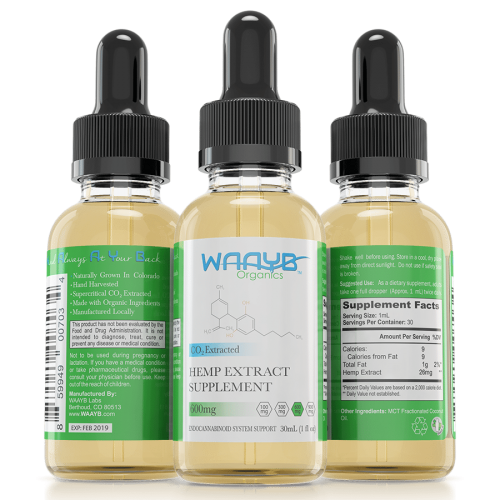 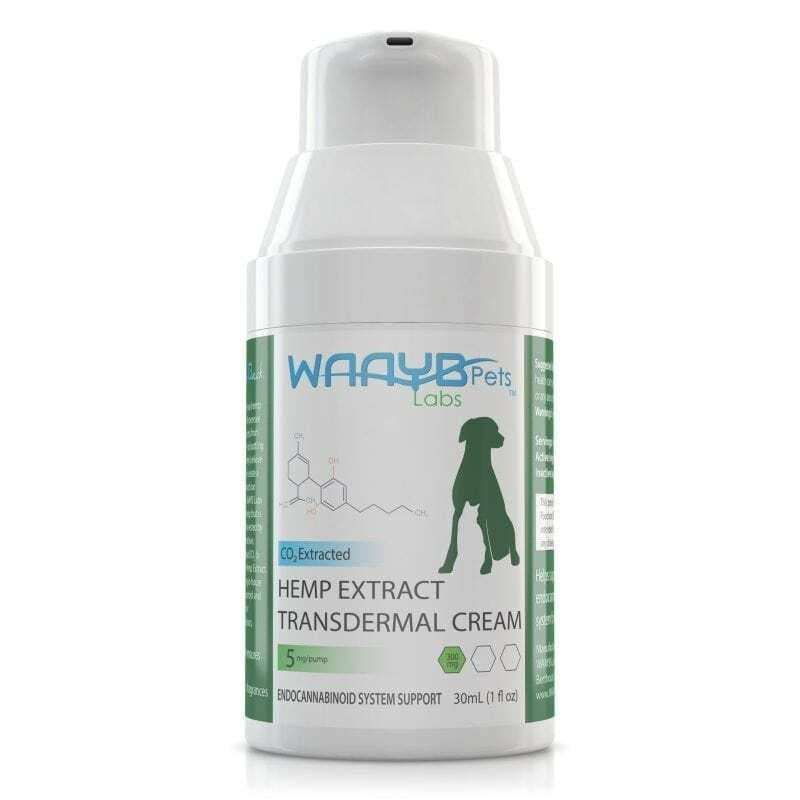 With WAAYB Organics Transdermal CBD Lotion you are able to ensure that your fur baby is getting the proper amount of hemp extract. 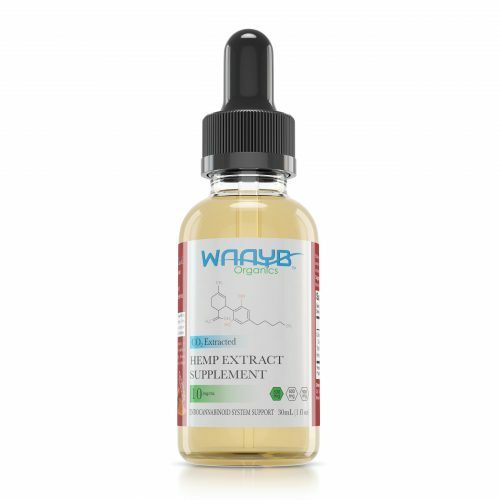 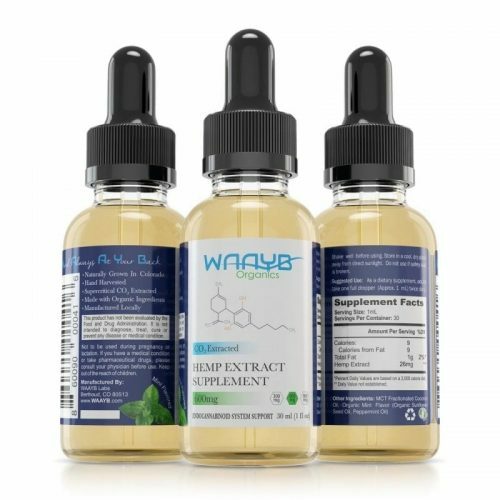 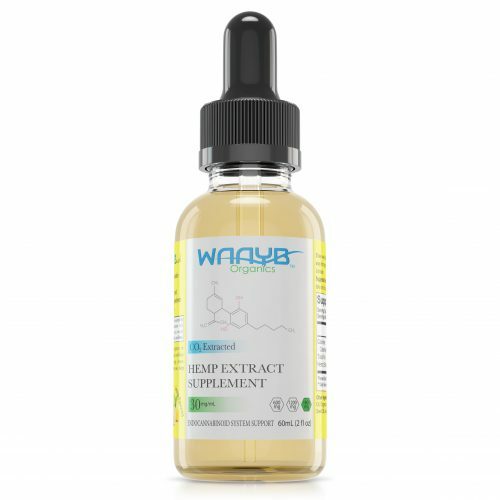 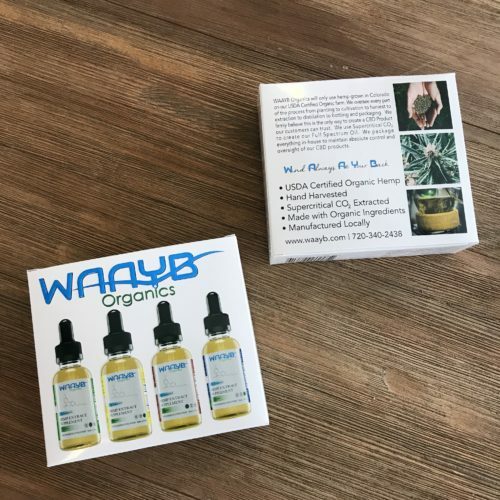 Just rub WAAYB Organics Transdermal CBD Oil inside of their ear to get better absorption than when taken orally. 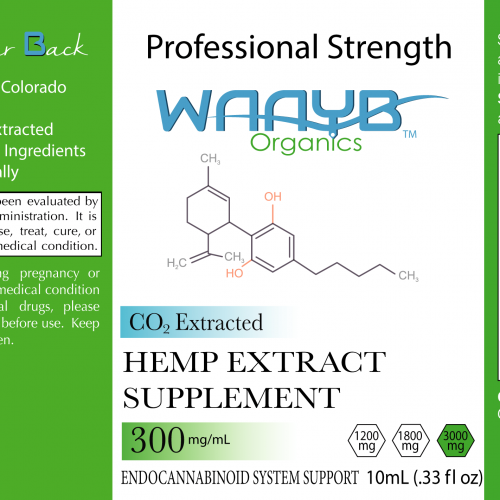 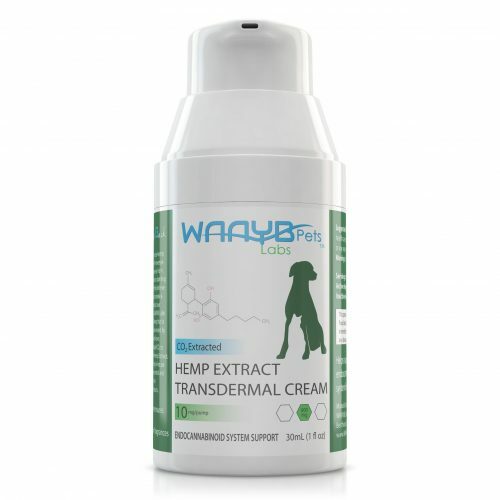 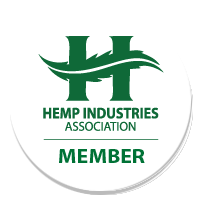 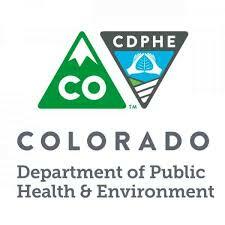 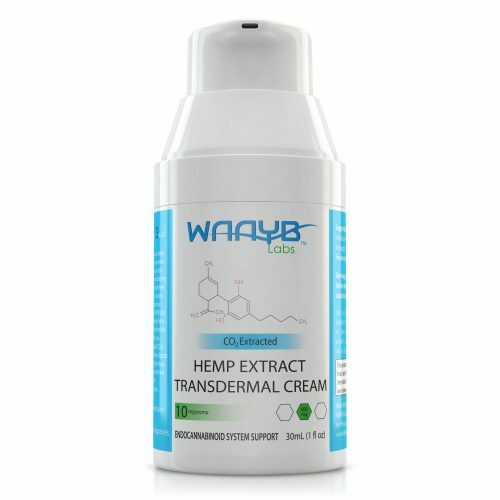 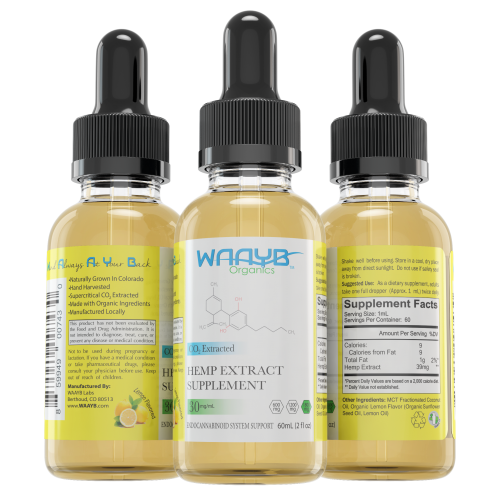 WAAYB Organics Transdermal CBD Cream for Pets is derived from all-natural, Colorado-grown hemp. 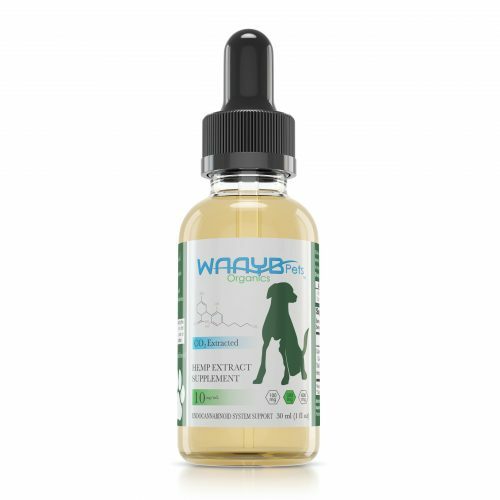 Use as directed by your health care professional with our metered pump which distributes either 5mg or 10mg per pump and rub thoroughly into your pets ear or any area not covered by fur. Return Policy: If you are not fully satisfied with your purchase, you may request a full refund on the purchase price within 30 days. 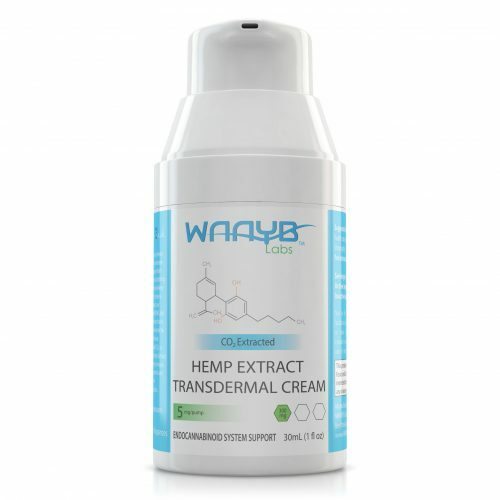 Third Party Testing for our 5mg/serving and 10mg/serving transdermal cream.